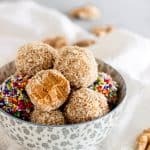 These dulce de leche coconut fudge balls might turn out to be addictive if you’re into dulce de leche and easy snacks. Who isn’t?? I wanted to make dulce de leche fudge and cut it into squares. While trying different variations, I realized they tasted better with less powdered sugar (needed to make them firm enough to cut), because the flavor of the sweet jam was stronger. So fudge balls it is. As with most truffles, this recipe is easy to make and, though it requires some time in the fridge, pretty quick too. 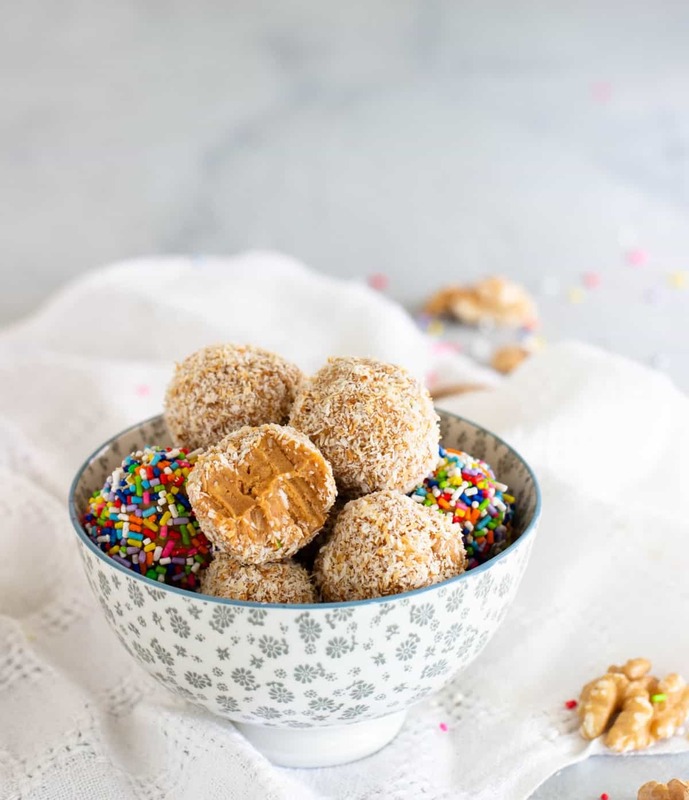 You’ll love that they can be frozen too since that will enable you to have them as a last minute dessert or snack while watching the latest series or whatever is your thing. I don’t know if your hips will be as happy, but hey, yolo. I have a lot of recipes with dulce de leche. That’s because I’m from Argentina, which is that milky jam’s birth country – I know there might be some rivalry with neighbor countries about this, but I’m standing my ground as founders, haha – and it’s probably our most used jam or paste. Dulce de leche is a sweet jam made with milk, sugar and baking soda, the latter being accountable for its dark color. It takes a few hours to make and there are as many tips and tricks as there are grandmothers in this country. Each with its own recipe. We have an abundance of brands and styles, pretty much like peanut butter in the US. So we use it a lot as you might imagine. The flavor is very sweet, similar to caramel but not quite. It does have a milk undertone, something that caramel lacks, and some might say it’s not as sophisticated, and they might be right. I’m a raving fan so my opinion is biased. There is regular dulce de leche and there is pastry dulce de leche. The former is softer and the latter is thicker, courtesy of additives that make it hold better and good for piping for example. Or for filling alfajores. Otherwise, the filling would start spreading outside of the cookies. 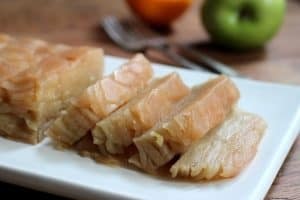 What type of dulce de leche should I use? Pastry dulce de leche is used in this recipe, and you can get it here. Or any other brand that says ‘pastelero’ (which means pastry in Spanish). You can add some cornstarch to regular milk jam and thicken it, as I did in this Halloween recipe years ago. But before you click and go because you don’t know where to get it, you can use regular dulce de leche and add more powdered sugar. Or coconut. Or even crushed vanilla wafers. Any additional ingredient to thicken the fudge. They will turn out amazing either way. Coconut and dulce de leche is one of the best flavor matches ever. Trust me on this one. 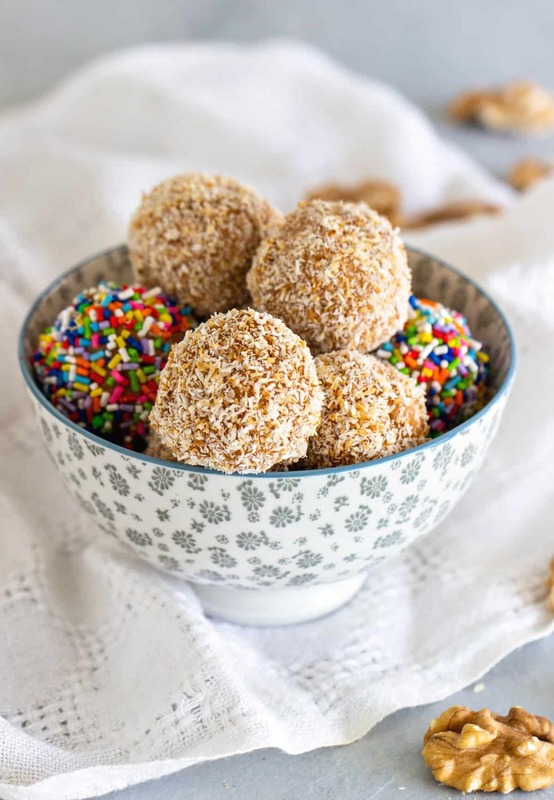 You can use whatever you want to roll these fudge balls in – I used sprinkles too as is well documented – but do make shredded coconut your first choice. Unless coconut is not your jam. Which is weird. But who am I to judge, I haven’t watched the movie ET (roll your eyes, I deserve it). Better move on to the recipe. Mix dulce de leche, butter, liquor, vanilla, powdered sugar, and walnuts until you have a paste. It will be soft. Refrigerate covered until it firms up enough to make balls. When ready, put shredded coconut and sprinkles (or whatever you’re using for coating) in shallow dishes. Take a large teaspoon mixture and make balls with your hands (it might get messy), the size of walnuts and roll in desired extras. Liquor: you can use cognac or Frangelico or any other you think goes well with caramel. Omit if making for kids. Depending on the dulce de leche you use add 1-2 tablespoons extra coconut if fudge mixture is too soft. Same goes for the largest amount of powdered sugar in the recipe. 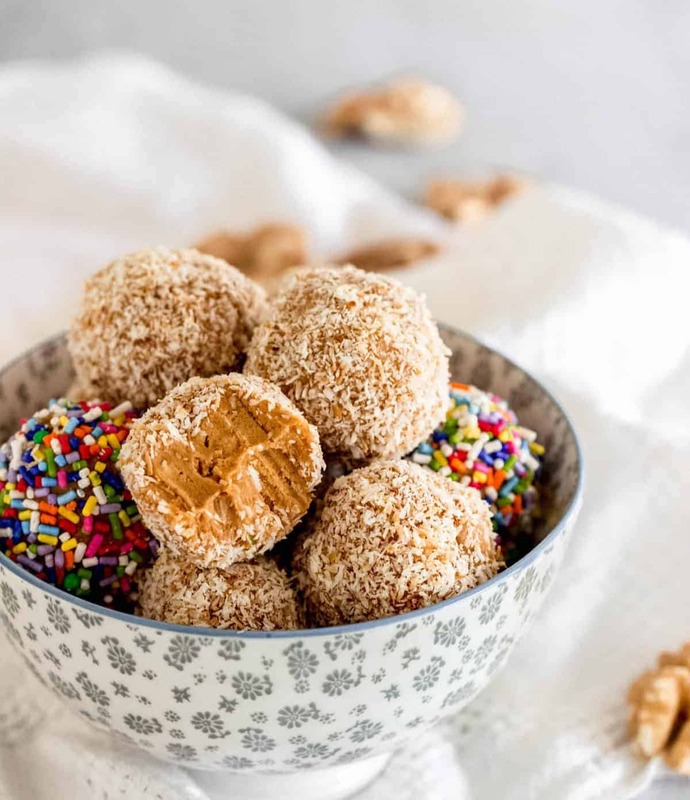 Besides sprinkles or coconut, you can roll the fudge balls in finely chopped nuts or ground cookies. I have to come to Paris to start reading through your posts!!! 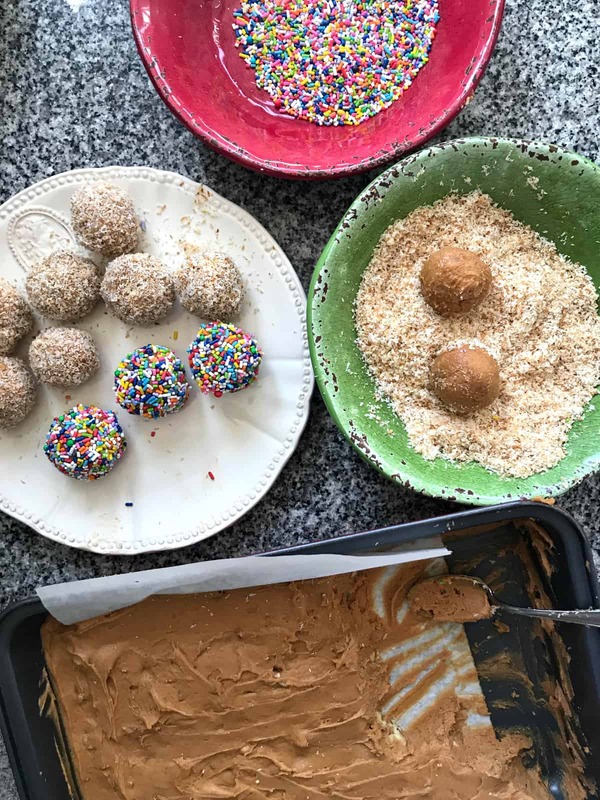 You’re making these fudge balls sound easy to make. The part about “freezes well” attracted me right away. They are easy to make! I wish I was in Paris too… I have a trip lined up to go again, but it gets delayed. Hope to make it there next year.